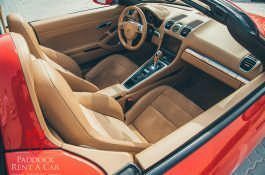 Instantly recognisable as a dependable, timeless classic, the Porsche Boxster made quite a hit when it first appeared on the scene. 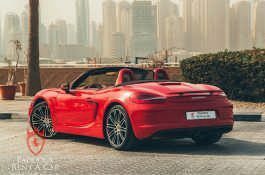 The rear-engine, two-seat design and low-profile of the car delivers precise steering on the road, but put the foot down and the V6 engine will unleash its true potential. 375 bhp and 0 to 100 km/h in 4.7 seconds can be achieved from the 3.4-litre turbocharged engine. 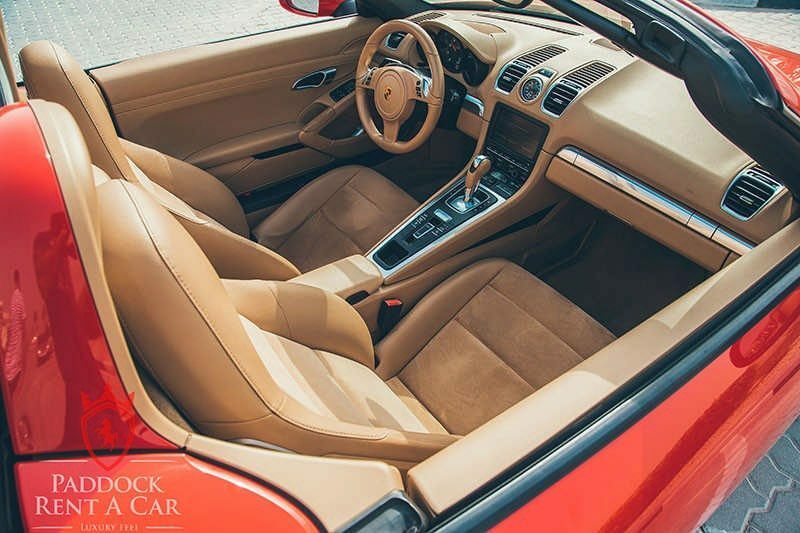 Additional features of the Porsche Boxster include automatic transmission, a compact but comfortable interior, and an in-car control panel to control music, car performance settings, and more. 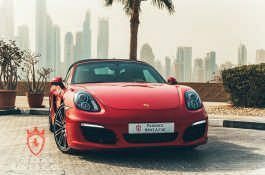 Dubai and the United Arab Emirates (UAE) offer a plethora of opportunities and one of the best ways to witness all the sights and sounds is to hire a Porsche Boxster. 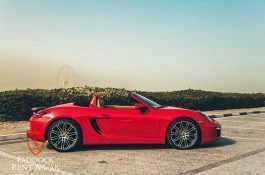 Unlike high-end supercars that deliver raw power, the Porsche Boxster is perfectly drivable and easy to handle. It parks well, has an open-top, and is incredibly fun, whether for a day out at the beach, visiting business clients, or sampling Dubai’s legendary nightlight. 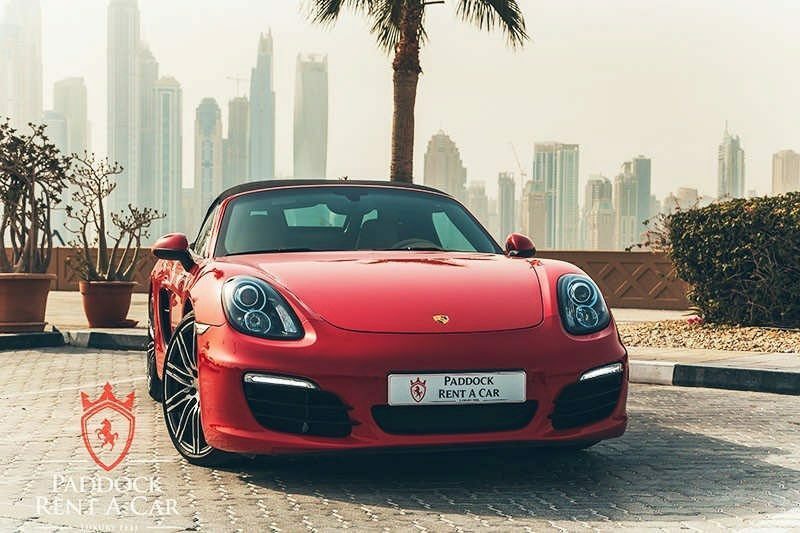 When considering Porsche Boxster rental in Dubai, the first step is to get in contact with us at Paddock Rent a Car. 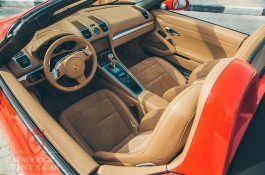 We have plenty experience of luxury car rental and are proud to offer the best range of sports cars in the area. All the cars we have available for hire are owned entirely by ourselves. 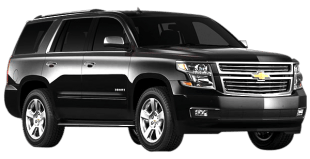 We do not lease our cars from other companies. This means we can bring the lowest possible price. 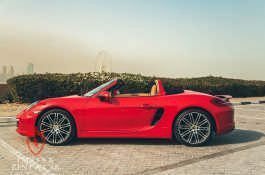 The process to secure a Porsche Boxster for rent is straightforward. In the first instance, please contact us. The easiest way is to send us a quick e-mail using our website form, but we are also contactable by telephone. We will then provide full details and complete the hire procedure. We are very accommodating when it comes to delivery. 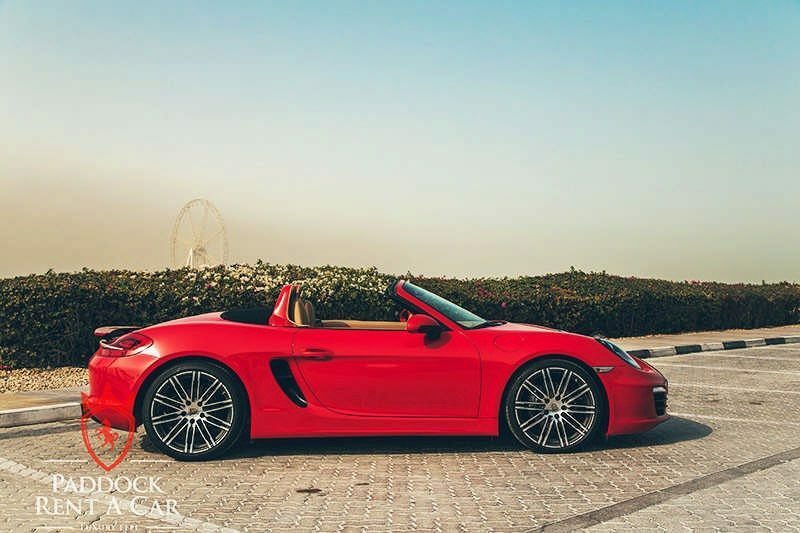 We can deliver door-to-door or alternatively, we can arrange a pick-up at our Dubai showroom.